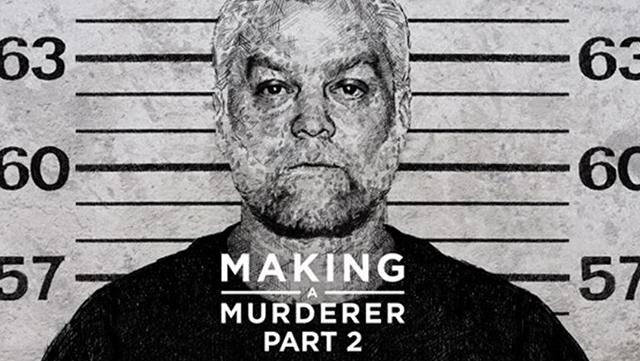 Making a Murderer Part 2 the follow-up to part one came out on Netflix on the 19th of October and it has captured the minds of just as many people if not more than the first one. Part one ended with both Steven Avery and Brendan Dassey being found guilty and sent to prison for the murder of Theresa Halbach. Part two of the chilling documentary gives us a look in to Steven Avery and Brendan Dassey’s lives in prison, the impact that has had on their families and how they are both continuously fighting to prove their innocence. The main new figure that has been introduced in part two of the documentary is Steven Avery’s new lawyer Kathleen Zellner. She is known for proving the innocence of wrongly convicted people in the past and was not going to pass the opportunity of taking up the case and presenting Steven Avery. The second part of the documentary is full of twists and turns. Brendan Dassey also has new lawyers who fight tirelessly in the documentary to try and free Brendan and convince the prosecution that his confession was coerced. In multiple episodes you think Brendan Dassey is about to get out of prison and then that is ultimately shut down in the next episode. Kathleen Zellner goes over every bit of evidence from the blood spots, to the way the body was thrown into the car, to how the gun was used, how it was shot and so much more. From her findings and work on trying to comprehend who did it she too believes that Steven Avery was set up and did not commit the crime he is in prison for. This ultimately pushes Kathleen Zellner to keep fighting on proving that Steven Avery is innocent. One of the most interesting suggestions of Zellner in the documentary based on what she has found is that she comes to believe that Bobby Dassey, Brendan Dassey’s older brother and Scott Tadych who is Brendan’s step father have something to do with the murder of Theresa Halbach. This causes tension in the family between Steven and his sister Barb Tadych who is Scott’s wife and also Brendan and Bobby Dassey’s mother. Near the end of part two we hear a phonecall between Barb and Steven which ultimately leads to a roaring and screaming match from Barb and Scott about Kathleen Zellner and Steven Avery. From this phonecall Barb let’s slip a piece of information that she lied about beforehand which is now going in to evidence. Part two ends with the hope from Steven Avery and his family that both he and Brendan Dassey will be proven innocent and will get out of prison with the hard work of both of their lawyers. Since part two of the documentary has been released, Kathleen Zellner has been constantly updating followers of what is happening with the investigation of the case on Twitter. She holds question and answer sessions and recently she has told her followers on twitter of new evidence she has found in relation to Scott Tadych and Bobby Dassey. This is great for people who genuinely want to know about Steven Avery and what is actually going on, but it also has caused prosecutors in Steven Avery’s case to give out, as some people believe it is all for show and how can such a successful lawyer want all of this on Twitter. With this they believe that the documentary is one sided and is insensitive to Theresa Halbach and her family. Whether there will be a part three or not is undecided, but it is definitely not the end to the story of Steven Avery and Brendan Dassey.